Hilton Hawaiian Village is one of my favorite properties in the world. When I was trying to decide my ultimate vacation spot for Thanksgiving, it topped the list. There are so many things about it that make it one of my favorite destinations including the endless array of activities, the amenities, the dining, and the views, but the sunsets are so truly magical that they make the flight worth it themselves. This evening, we walked along the beach for over a mile. The weather was heavenly, a perfect blend of warmth and breeze. As the sun set over the turquoise waters, the palm trees provided a picture perfect frame to the silhouetted sailboat on the horizon. It’s rare that I print photos from my travels. I have the blog as a visual and written reminder of my experiences, but I’m already thinking about where I can hang this picture as a constant reminder of the perfection of a Waikiki sunset. This is a week of adventures including scuba diving, a doors-off helicopter tour, catamaran sailing, and free-diving with sharks. The beach sunsets are the perfect juxtaposition to our adventures in Hawaii. Stay tuned for lots more of both. 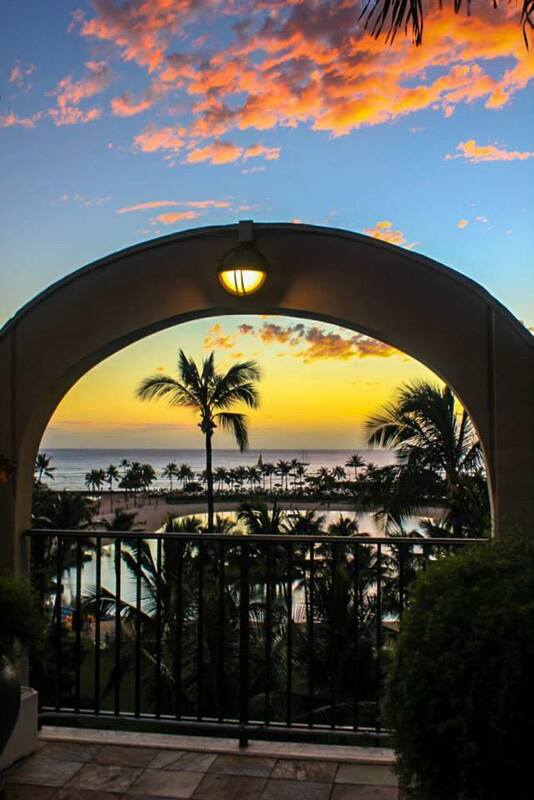 This entry was posted in Hawaii, Travel, USA and tagged Hawaii, Hilton Hawaiian Village, sunset, travel by lesleycarter. Bookmark the permalink. Simply Beautiful and could see why you would print them! 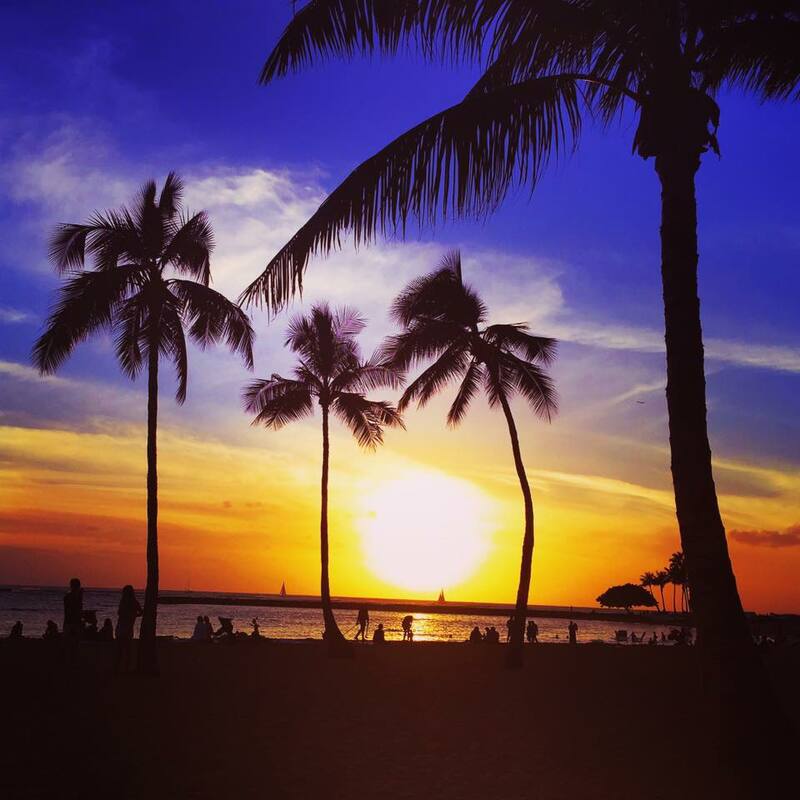 I could use a Hawaiian vacation right about now … nice sunset pic!